AOA is a new decal company and they are purpose driven. 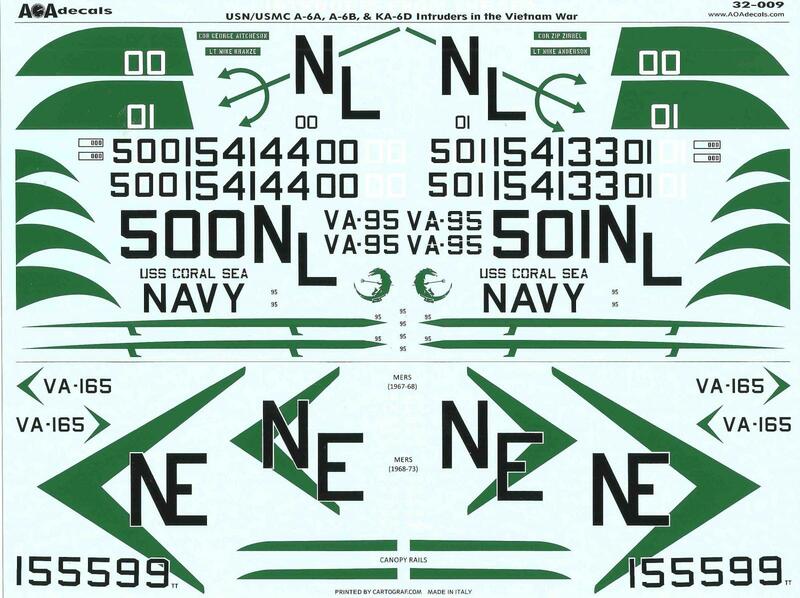 AOA's goal was to fill the gap of a lack of decals for Marine aircraft on the aftermarket scene and boy what a way to make an entrance by continuing to go the distance on the 1/32 Trumpeter A-6 model. 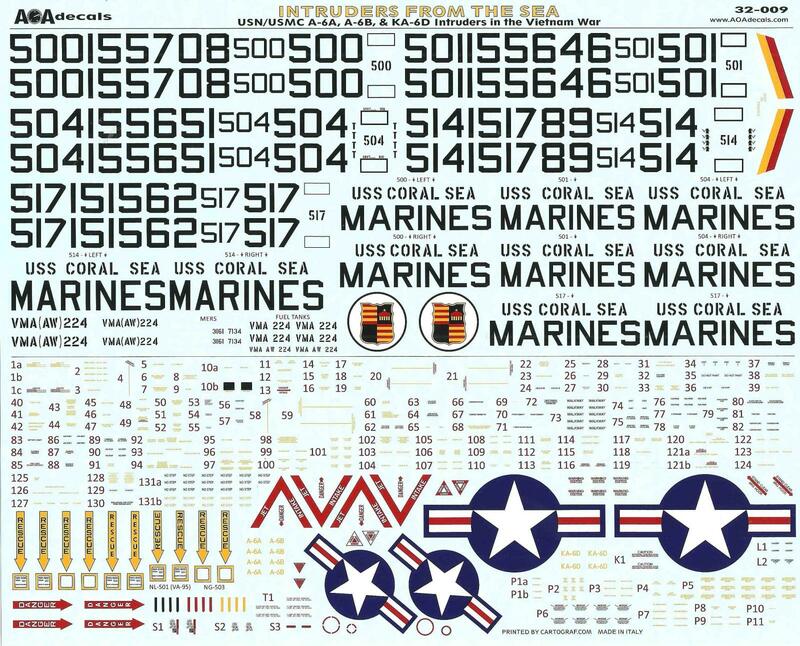 For those of you looking for Marine markings in all 3 scales they should be added to your list. This particular set is extremely large and I can tell you that you will have a lot of spares for future projects. 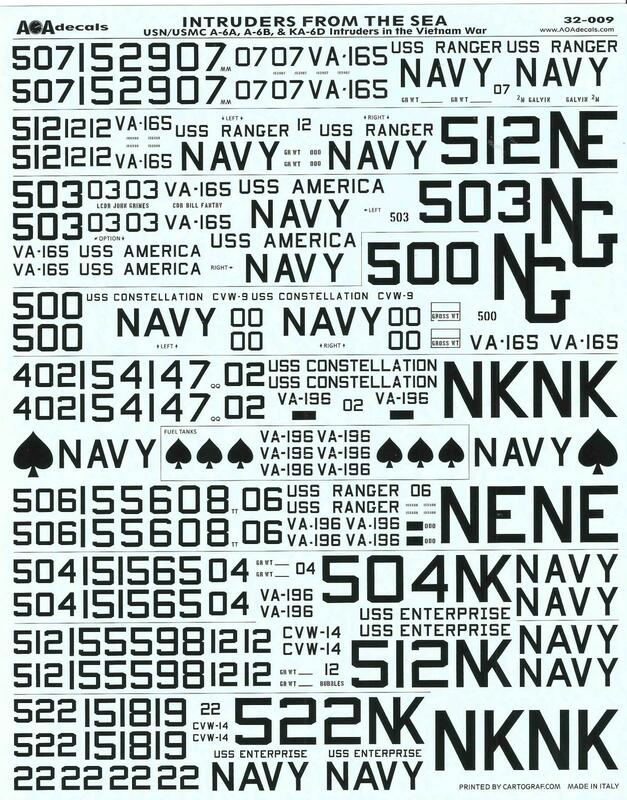 Spread over four large sheet are 16 aircraft schemes covering 4 USN/USMC aircraft from the Vietnam War covering the years of 1967-1973. The Decals are extremely bright and colorful with no carrier film, AOA has used Cartograf to handle their printing needs so enough said about that. Micro-Sol and Micro-Set should honestly be all you need to get them to set. 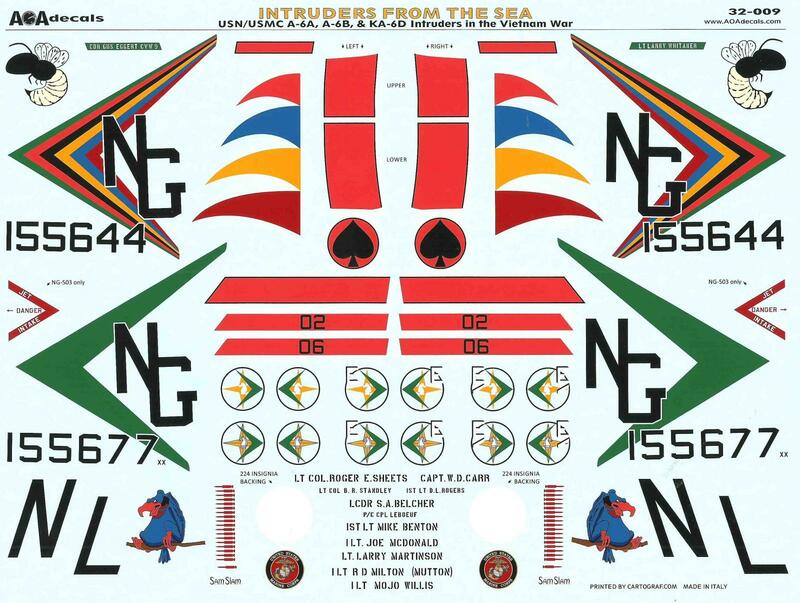 The decal placement and schemes are spread out through 15 color filled pages so pay careful attention to what aircraft you intend on detailing. 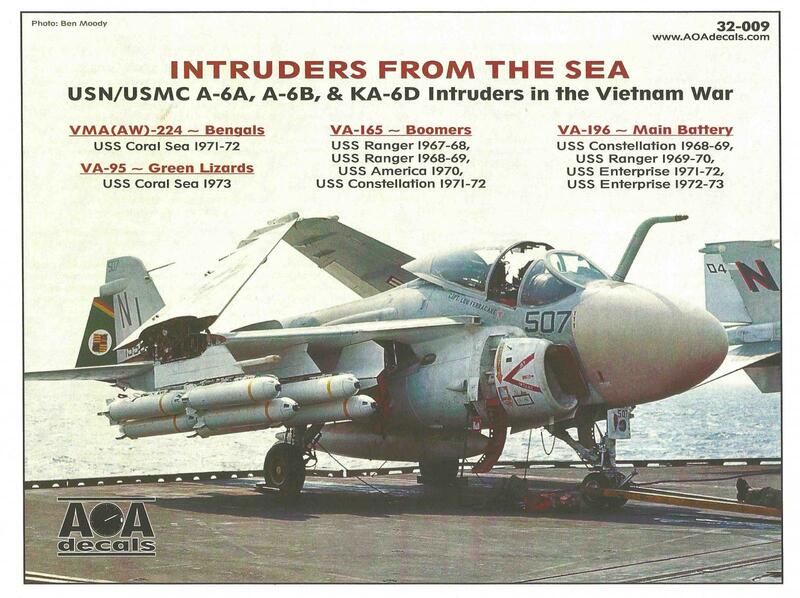 Each aircraft is represented by a specific profile so each aircraft is individually portrayed. 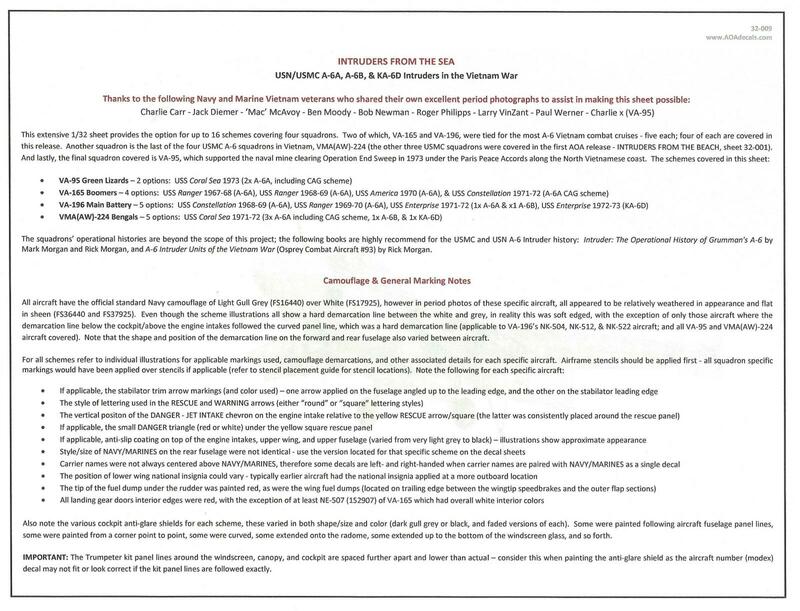 The AoA set also contained instructions that showed you how to properly modify the kit parts and model to correct minor inaccuracies and represent the exact mod the decals represent. The research is superb. 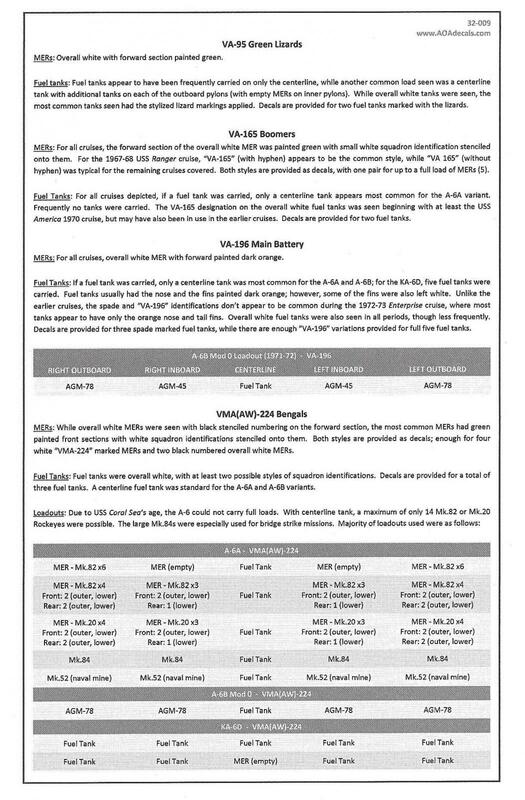 My thanks to IPMS and AOA models for giving me the opportunity to yet again review another awesome product from their lineup.